How much overall assortment is required to provide competitive advantage or smart positioning by category? How can my assortment drive differentiation? How do I encourage item customization from suppliers? 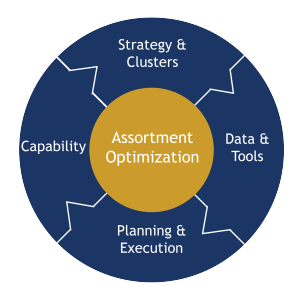 How do I optimize assortment product mix and strategically invest in growth segments? How can store clustering help with tailoring assortment by store? How do I effectively rationalize sizes, flavors, extensions and suppliers based on productivity? How can I leverage shopper data to understand the value of the item’s buyer? Where is true incrementality and uniqueness vs switching? What is the right mix of products to carry in-store vs. online? What should be offered for in-store pickup, ship from store, order to store and other omni-channel offerings? 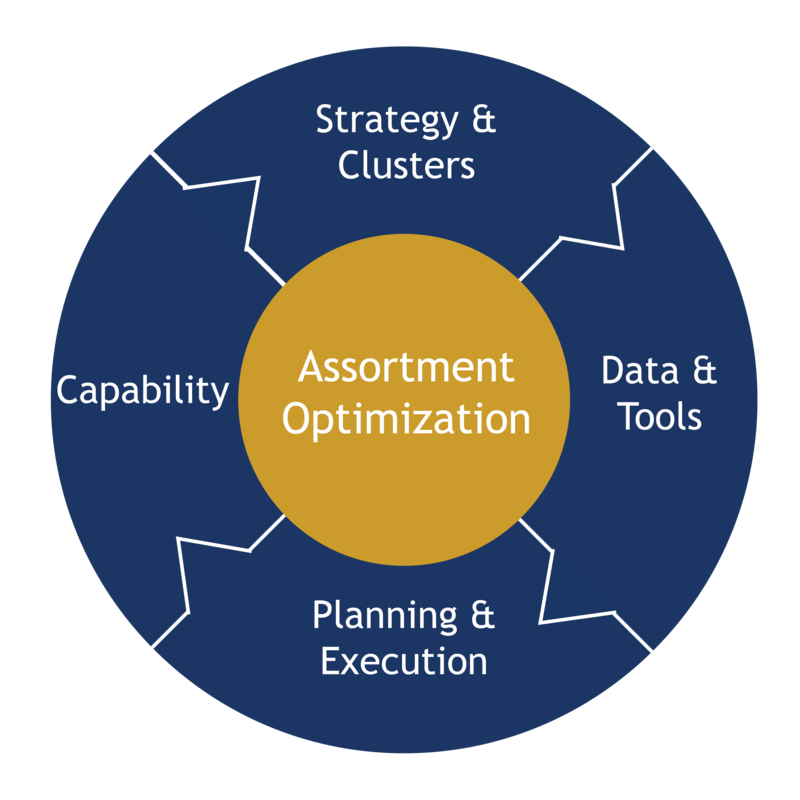 To address these assortment opportunities, leading retailers are formulating disciplined assortment planning processes, advanced tools, and new capabilities to produce powerful financial results. Improvements of item productivity of 10-30% while increasing overall category sales by 3-10%. Assortment Strategy: TPG will help prioritize total store, cross-category variety requirements based upon targeted shopper and commercial criteria. Assortment Clusters: TPG will identify store clusters that reflect the retail format, competition, shopper, and consumption targets. For more detail view Store Clustering. Assortment Planning Pilots & Review: After designing and embedding an assortment planning, execution and monitoring process. TPG pilots the methodology through to implementation and post change review. Assortment Tools Evaluation or Reporting: : TPG facilitates the review, sourcing, piloting and installation of an assortment tool, database and or system. TPG also helps retailers use their existing business reporting tools to operationalize key TPG analytics and integrate data. Assortment Organization Capability: Identification of the required assortment competencies and training regimen will be developed to build the desired assortment organization capabilities. TPG will design and implement an Assortment Center of Excellence to build advanced capabilities.